Thank you! Looks amazing and really good communication very good to deal with!!! great item ! great service ! more beautiful than i had hoped for. was very easy to use. am so pleased with the outcome. i now plan on redoing complete kitchen counters. 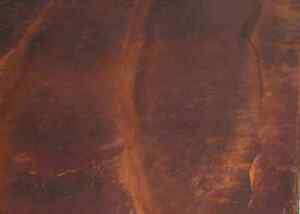 The copper sheet that I purchased is of high quality and well suited for my current project.